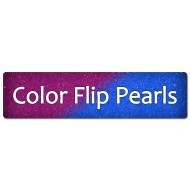 Anthias ColorShift Pearl 25g Mix 75 grams of pearls per 1 gallon of sprayable Plasti Dip. (Can be either Matte Clear Plasti Dip Spray or a blend of Matte Clear Plasti Dip Spray and Glossifier 50/50%). Usefull video made by DipYourCar: ..
Atlantic ColorShift Pearls 25g Mix 75 grams of pearls per 1 gallon of sprayable Plasti Dip. (Can be either Matte Clear Plasti Dip Spray or a blend of Matte Clear Plasti Dip Spray and Glossifier 50/50%). Usefull video made by DipYourCar: ..
Bionic ColorShift Pearl 25g Mix 75 grams of pearls per 1 gallon of sprayable Plasti Dip. (Can be either Matte Clear Plasti Dip Spray or a blend of Matte Clear Plasti Dip Spray and Glossifier 50/50%). Usefull video made by DipYourCar: ..
Phoenix ColorShift Pearls 25g Mix 75 grams of pearls per 1 gallon of sprayable Plasti Dip. (Can be either Matte Clear Plasti Dip Spray or a blend of Matte Clear Plasti Dip Spray and Glossifier 50/50%). Usefull video made by DipYourCar: .. 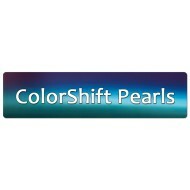 Plasma ColorShift Pearl 25g Mix 75 grams of pearls per 1 gallon of sprayable Plasti Dip. (Can be either Matte Clear Plasti Dip Spray or a blend of Matte Clear Plasti Dip Spray and Glossifier 50/50%). Usefull video made by DipYourCar: ..
ZTF HyperShift Pearls™​ 25g Mix 25 grams of pearls per 1 gallon of sprayable Plasti Dip. (Can be either Matte Clear Plasti Dip Spray or a blend of Matte Clear Plasti Dip Spray and Glossifier 50/50%). 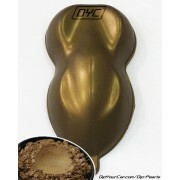 ..
ZTR HyperShift Pearls™​ 25g Mix 25 grams of pearls per 1 gallon of sprayable Plasti Dip. (Can be either Matte Clear Plasti Dip Spray or a blend of Matte Clear Plasti Dip Spray and Glossifier 50/50%). 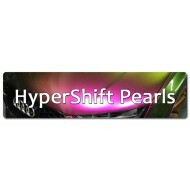 ..
ZTS HyperShift Pearls™​ 25g Mix 25 grams of pearls per 1 gallon of sprayable Plasti Dip. (Can be either Matte Clear Plasti Dip Spray or a blend of Matte Clear Plasti Dip Spray and Glossifier 50/50%). 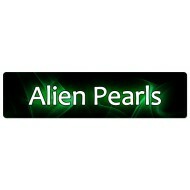 ..
Abyss Midnight Flip Pearl 25g Mix 75 grams of pearls per 1 gallon of sprayable Plasti Dip. (Can be either Matte Clear Plasti Dip Spray or a blend of Matte Clear Plasti Dip Spray and Glossifier 50/50%). Usefull video made by DipYourCar: .. 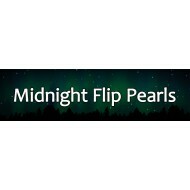 Beta Midnight Flip Pearl 25g Mix 75 grams of pearls per 1 gallon of sprayable Plasti Dip. (Can be either Matte Clear Plasti Dip Spray or a blend of Matte Clear Plasti Dip Spray and Glossifier 50/50%). Usefull video made by DipYourCar: ..
Pluto Midnight Flip Pearls 25g Mix 75 grams of pearls per 1 gallon of sprayable Plasti Dip. (Can be either Matte Clear Plasti Dip Spray or a blend of Matte Clear Plasti Dip Spray and Glossifier 50/50%). 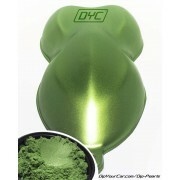 Usefull video made by DipYourCar: ..
GD-10 Alien Pearl 25g Mix 75 grams of pearls per 1 gallon of sprayable Plasti Dip. 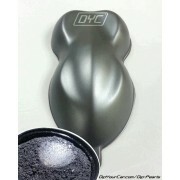 (Can be either Matte Clear Plasti Dip Spray or a blend of Matte Clear Plasti Dip Spray and Glossifier 50/50%). 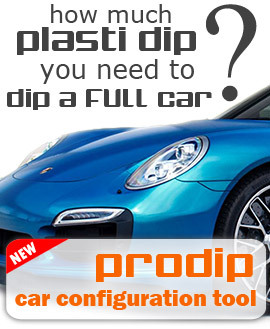 Usefull video made by Prodip: ..
GT-22 Alien Pearl 25g Mix 75 grams of pearls per 1 gallon of sprayable Plasti Dip. (Can be either Matte Clear Plasti Dip Spray or a blend of Matte Clear Plasti Dip Spray and Glossifier 50/50%). 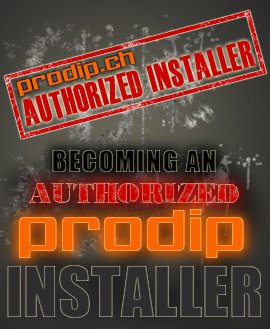 Usefull video made by Prodip: ..
RL-71 Alien Pearl 25g Mix 75 grams of pearls per 1 gallon of sprayable Plasti Dip. (Can be either Matte Clear Plasti Dip Spray or a blend of Matte Clear Plasti Dip Spray and Glossifier 50/50%). 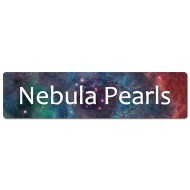 Usefull video made by DipYourCar: ..
Aqua Violet Flip Pearls 25g Mix 75 grams of pearls per 1 gallon of sprayable Plasti Dip. (Can be either Matte Clear Plasti Dip Spray or a blend of Matte Clear Plasti Dip Spray and Glossifier 50/50%). Usefull video made by DipYourCar: ..
Iris Violet Flip Pearls 25g Mix 75 grams of pearls per 1 gallon of sprayable Plasti Dip. (Can be either Matte Clear Plasti Dip Spray or a blend of Matte Clear Plasti Dip Spray and Glossifier 50/50%). Usefull video made by DipYourCar: ..
Nautilus Caribbean ColorShift Pearls 25g Mix 75 grams of pearls per 1 gallon of sprayable Plasti Dip. (Can be either Matte Clear Plasti Dip Spray or a blend of Matte Clear Plasti Dip Spray and Glossifier 50/50%). Usefull video made by DipYourCar: ..
Nordic ColorShift Pearls 25g Mix 75 grams of pearls per 1 gallon of sprayable Plasti Dip. (Can be either Matte Clear Plasti Dip Spray or a blend of Matte Clear Plasti Dip Spray and Glossifier 50/50%). Usefull video made by DipYourCar: .. 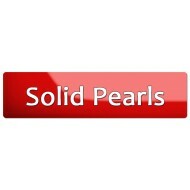 Reptile Flip Pearls 25g Mix 75 grams of pearls per 1 gallon of sprayable Plasti Dip. (Can be either Matte Clear Plasti Dip Spray or a blend of Matte Clear Plasti Dip Spray and Glossifier 50/50%). Usefull video made by DipYourCar: ..
Zombie Midnight Flip Pearls 25g Mix 75 grams of pearls per 1 gallon of sprayable Plasti Dip. (Can be either Matte Clear Plasti Dip Spray or a blend of Matte Clear Plasti Dip Spray and Glossifier 50/50%). Usefull video made by DipYourCar: ..
Blue Dream Solid Pearl 25g Mix 50 grams of pearls per 1 gallon of sprayable Plasti Dip. (Can be either Matte Clear Plasti Dip Spray or a blend of Matte Clear Plasti Dip Spray and Glossifier 50/50%). 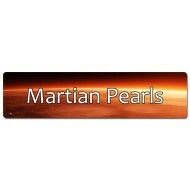 ..
Copper Head Orange Pearl 25g Mix 50 grams of pearls per 1 gallon of sprayable Plasti Dip. (Can be either Matte Clear Plasti Dip Spray or a blend of Matte Clear Plasti Dip Spray and Glossifier 50/50%). 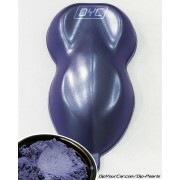 Usefull video made by DipYourCar: ..
Electric Blurple Candy Pearl 25g Mix 50 grams of pearls per 1 gallon of sprayable Plasti Dip. (Can be either Matte Clear Plasti Dip Spray or a blend of Matte Clear Plasti Dip Spray and Glossifier 50/50%). Usefull video made by DipYourCar: ..
Hyper Silver Candy Pearl 25g Mix 50 grams of pearls per 1 gallon of sprayable Plasti Dip. (Can be either Matte Clear Plasti Dip Spray or a blend of Matte Clear Plasti Dip Spray and Glossifier 50/50%). Usefull video made by DipYourCar: ..
Hyper Titanium Candy Pearl 25g Mix 50 grams of pearls per 1 gallon of sprayable Plasti Dip. (Can be either Matte Clear Plasti Dip Spray or a blend of Matte Clear Plasti Dip Spray and Glossifier 50/50%). Usefull video made by DipYourCar: ..
Iguana Green Candy Pearl 25g Mix 50 grams of pearls per 1 gallon of sprayable Plasti Dip. (Can be either Matte Clear Plasti Dip Spray or a blend of Matte Clear Plasti Dip Spray and Glossifier 50/50%). 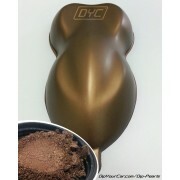 Usefull video made by DipYourCar: ..
Mocha Brown Candy Pearl 25g Mix 50 grams of pearls per 1 gallon of sprayable Plasti Dip. 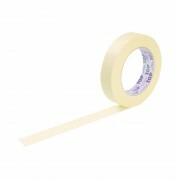 (Can be either Matte Clear Plasti Dip Spray or a blend of Matte Clear Plasti Dip Spray and Glossifier 50/50%). 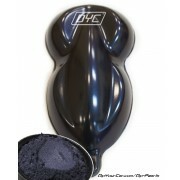 Usefull video made by DipYourCar: ..
Ness Blue Solid Pearl 25g Mix 50 grams of pearls per 1 gallon of sprayable Plasti Dip. (Can be either Matte Clear Plasti Dip Spray or a blend of Matte Clear Plasti Dip Spray and Glossifier 50/50%). Usefull video made by DipYourCar: .. 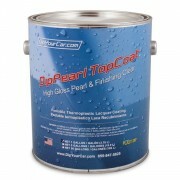 Ocean Blue Solid Pearls 25g Mix 50 grams of pearls per 1 gallon of sprayable Plasti Dip. (Can be either Matte Clear Plasti Dip Spray or a blend of Matte Clear Plasti Dip Spray and Glossifier 50/50%). Usefull video made by DipYourCar: .. 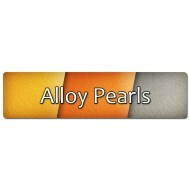 Plum Crazy Pearls Candy Pearl 25g Mix 50 grams of pearls per 1 gallon of sprayable Plasti Dip. 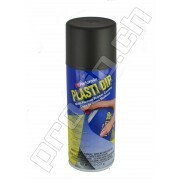 (Can be either Matte Clear Plasti Dip Spray or a blend of Matte Clear Plasti Dip Spray and Glossifier 50/50%). Usefull video made by DipYourCar: ..